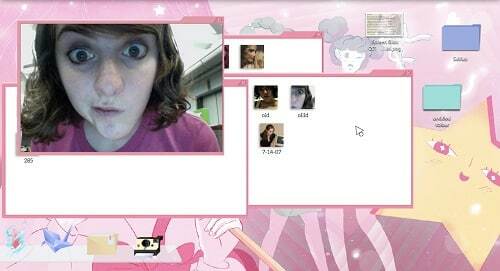 Cibele lets players take control of a 19 year old girl as they explore love through the online medium. Start from the point of meeting in an online game and from there create a relationship that becomes more intense with each chat and phone call. Following this journey of Nina players will move between their desktop, the online game, chats with her friends and daily life routines. 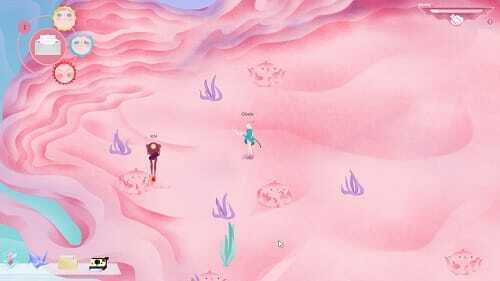 This experience is paired closely with various short films to give you a glimpse of life and a changing desktop that players can interact with to give you further insights into the mind of the girl you’re playing as. With the ability to freely roam through said desktop, personal files, emails, journals and photos you quickly feel like you are Nina with access to her entire life. While this serves as a good majority of the unique gameplay that Cibele offers players can also jump into the MMO game called Valtameri where you can take on quests and slay monsters while building a relationship with Blake, a male player. Eventually leading to contact outside the game and an in person meet up. With the above themes Cibele is of course intended for the more mature audience as its objective is to rekindle that feeling of your first love and late stages in high school where relationships are constantly changing. Cibele definitely achieves this by using several medias (click based interaction, video and audio) to make it feel like real life. With this breadth of mediums on offer it can sometimes feel a little disjointed as you end up with a jack of all trades but master of none situation but builds up the interactive novel experience with great detail. In total it can take up to 2 hours depending on how much investigating into various elements. Play as the young 19 year old Nina. Explore a MMO world and your own desktop files. Fall in love across three acts. Watch video shorts and listen to audio snippets. Play on Mac and Windows.